When first mapped in 1926, Hollywood Mounds consisted of a large pyramidal platform mound enclosed on three sides by a series of smaller mounds forming an earthen embankment. Three additional mounds were located toward the eastern boundary of the site, along the edge of Mound Bayou. Together, the boundary mounds and the bayou define a rectangular area of approximately 1.5 hectares. Today, Mound A as well as three small boundary mounds towards the north are visible, but most of the boundary mounds, as well as three mounds to the east have been plowed down since the mid-20th century. 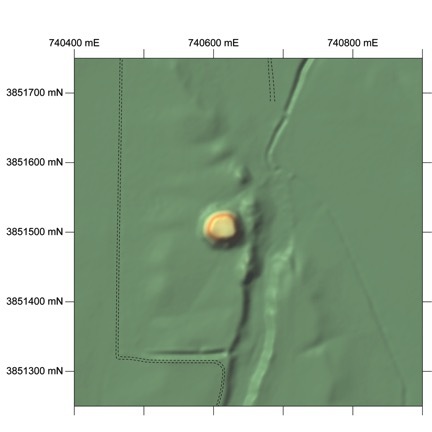 Recently, professional archaeologists have used non-destructive geophysical survey techniques as well as targeted excavations to determine the history of mound building at the site. 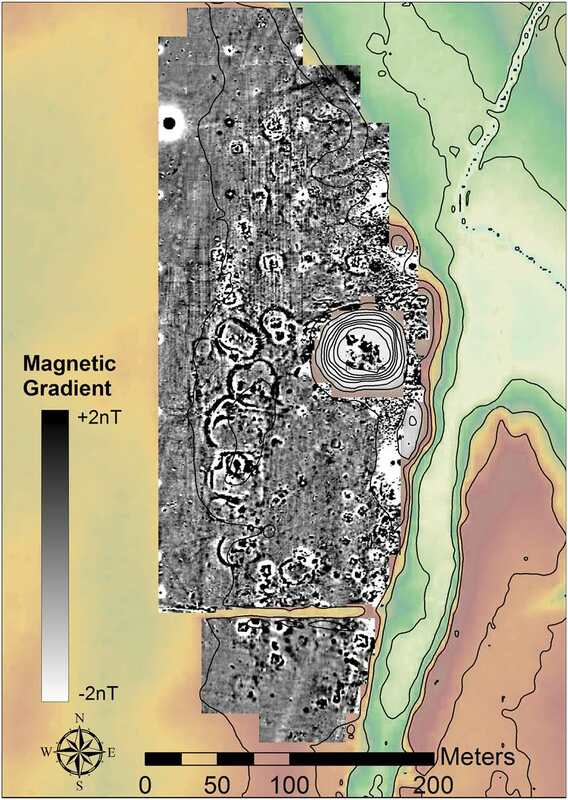 One of these techniques, magnetic gradiometry, has been particularly successful at locating buried features at the site, including several boundary mounds that are no longer visible from the surface. The mounds exhibit a distinct magnetic signature due to the fact that the buildings on their summits were burned and the remains were then pushed over the edge of the mounds, creating a halo around each mound with enhanced magnetic properties. As many as 27 former mounds have been identified in this way, many of which correspond to the locations of mounds mapped in the early 20th century. Excavations at the site have determined that the small boundary mounds were the first earthworks built here by Native American people. They were built during the Mississippi Period, sometime after about AD 1300. Afterwards, the plaza area defined by the boundary mounds was artificially raised and flattened, a process that involved moving more dirt than all the mounds at the site combined. 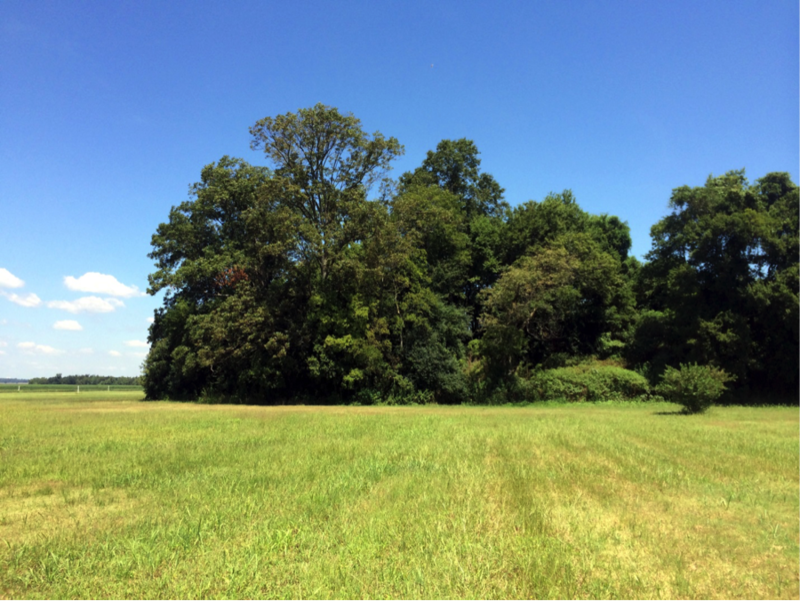 Sometime after the completion of the plaza, or perhaps in conjunction with its construction, Mississippian people built Mound A, the site's central feature. This sequence of building happened remarkably quickly at Hollywood, perhaps over the course of about 200 years.